At South Santiago Lutheran Church, there is a rich history of helping those in need, both here and around the world. 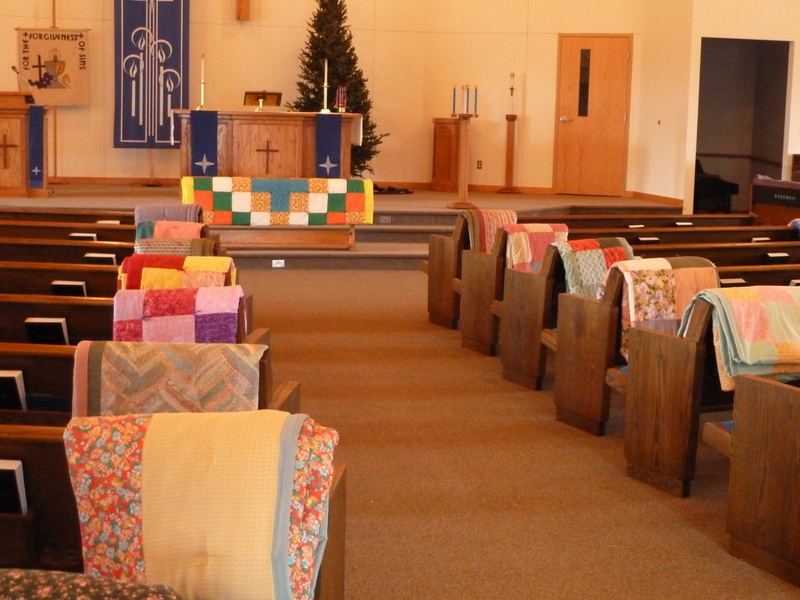 There are many different ways to participate in this ministry, one of which is mission quilts. We have a large supply of fabric for making quilts for local charities. We need people to sew, cut fabric, assemble and tie the quilts (no sewing required). The sewing of quilt tops can be done either at home or in the quilting loft at the church. Another ministry we are involved with is designing and presenting quilts to all of our high school graduates each year. Each student is encouraged to choose his or hers colors and fabrics for a personalized "embrace of love" quilt of their very own. If you are interested in being part of these groups please contact Shelly Bluhm at 763-662-2468.